Kim Dotcom's new filehosting service is designed to keep it immune to both lawsuits and raids. In spite of his many legal difficulties, Kim Dotcom has boasted about his plans for a bigger, better Megaupload for some time now. But how will he keep the new Megaupload from falling victim to the same nasty fate that met the old Megaupload? First and foremost is keeping the new service, called simply "Mega," on the legal up-and-up. To do that, all files uploaded to the service will first be "one-click-encrypted" in the user's browser using the "Advanced Encryption Standard" algorithm. Once that's done, users will be provided with a unique key to decrypt the file, which places the ultimate responsibility for access to the file in their hands. Furthermore, Mega will not have copies of the encryption keys, making it impossible for the company to know what's contained in the archives, and therefore impossible to be responsible for their content. Dotcom told Wired that according to his lawyers, encryption would have to be made illegal in order to thwart his service. "And according to the U.N. Charter for Human Rights, privacy is a basic human right," he said. "You have the right to protect your private information and communication against spying." And to protect the service against law enforcement agencies that may raid now and ask questions later, Mega will launch with all data stored on duplicate servers located in two different countries and eventually, if all goes according to plan, branch out to thousands of different servers spread around the world. "So, even if one country decides to go completely berserk from a legal perspective and freeze all servers, for example - which we don't expect, because we've fully complied with all the laws of the countries we place servers in - or if a natural disaster happens, there's still another location where all the files are available," Megaupload co-founder and co-defendant Mega partner Mathias Ortman explained. "We're creating a system where any host in the world - from the $2000 garage operation to the largest online host - can connect their own servers to this network," Dotcom added. "We can work with anybody, because the hosts themselves cannot see what's on the servers." 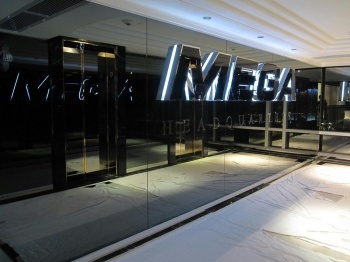 The launch date for Mega has not yet been revealed.